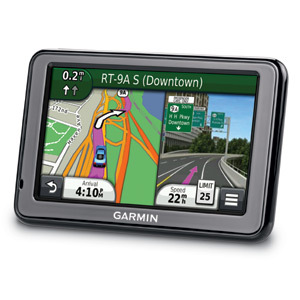 The nüvi 2455LMT is part of Garmin's collection of advanced sat navs offering sophisticated features ideal for every-day use. 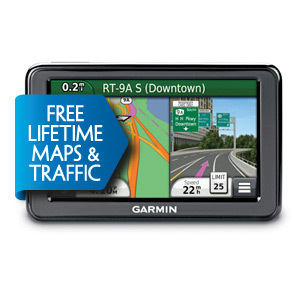 The nüvi 2455LMT has a 4.3" dual-orientation touchscreen display, is preloaded with maps for Europe, has 3D traffic, lifetime maps and our unique Cyclops Speed Cameras. 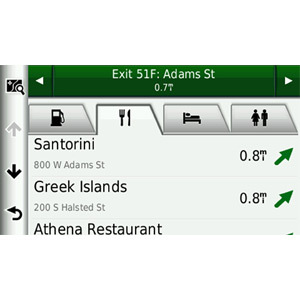 The Guidance 2 advanced navigation engine provides a fast, intuitive user interface for swifter, more accurate routing. It also has faster search facilities which make finding points of interest such as restaurants, hotels, airports and more, quicker as well as giving search suggestions. 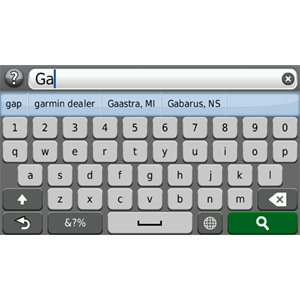 Advanced navigation features are also introduced into the Guidance 2 range such as Garmin 3D Traffic and our exclusive split-screen PhotoReal Junction View for so you are prepared for upcoming exits and junctions. Delivered via traditional RDS-TMC, the service combines trafficTrends™ historic route data together with information on the current traffic situation to identify congestion and incidents on your planned journey. An astonishing 80 million sources are used to understand what's happening on the roads, with comprehensive coverage of motorways and A roads across the UK and Europe. If there are queues, you'll be offered an alternative route to avoid any delay. With nüvi 2455LMT, you can drive reassured you've always got the most up to date maps, points of interest and navigation information on board. The very latest maps are available to download up to four times a year with no subscription or update fees. 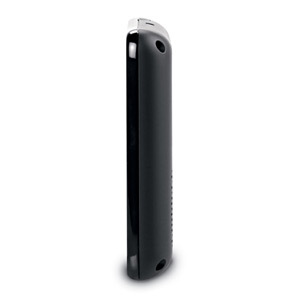 Avoid confusion at tricky exits and junctions. nüvi 2455LMT's Lane Assist with PhotoReal Junction View shows the lane you need to be in at upcoming major junctions and exits with incredible detail of your surroundings right down to the trees, bridges and pylons. From a mile before the junction, the sat nav enters split screen mode to show your position on the map alongside a realistic depiction of your upcoming manoeuvre, with accurately reproduced road signs for confident navigation and reassurance you're on track. 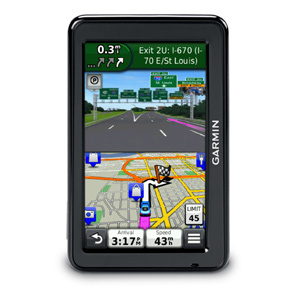 Garmin nüvi sat navs contain our unique Cyclops Speed Cameras system, for real-time, direction-relevant and accurate alerts. Get overspeed warning and speed limit information as you approach one of hundreds of fixed, mobile, variable limit and temporary speed cameras. New or moved cameras are constantly tracked and Cyclops checks and updates its central database daily. 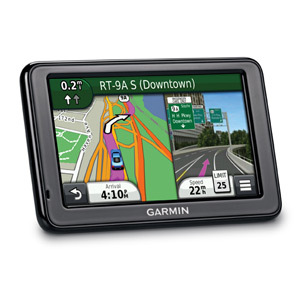 Garmin's ecoRoute fuel-saver technology finds the most fuel-efficient route to a destination, helping drivers save money while being kinder on the environment. The innovative feature tracks fuel usage and calculates the cost of a journey as well as enabling accurate expense reporting. 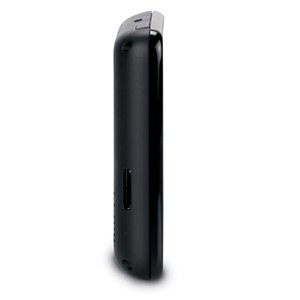 nüvi 2455LMT comes with Park position recall to help you find your car where you left it. 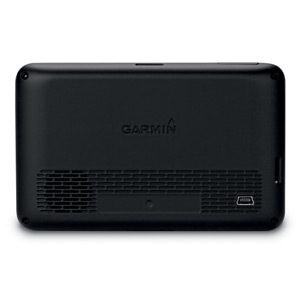 Bluetooth® Garmin Garage Additional Maps Safety Cameras Warranty How does Fleet Management Work?